Do You Worry About The Challenges That Come With Growing Older? Are you or a loved one entering a new life stage and struggling to maintain friendships, self-care and a sense of wellbeing and self-esteem? Do you feel helpless to respond to the physical and emotional challenges of advancing age? Do people assume you are becoming senile because of your age and dismiss or devalue your experience? You may find that everyday functions like bathing, cooking, shopping and paying bills have become increasingly difficult or time-consuming. Perhaps memory issues have led to lost items, missed appointments and forgotten medication. Alternately, you may have recently suffered an injury, undergone surgery or been diagnosed with an illness or disorder that requires full-time care. As you struggle to adapt to your changed circumstances, you might try to protect your loved ones by hiding feelings of grief, anxiety or depression. But, withdrawing from relationships can leave you feeling more frustrated and isolated at a time when you need to feel respected and supported. Do you feel weighed down by the new difficulties of aging or guilty about not being able to take care of yourself or an elderly loved one? Aging can be an overwhelming, worrisome and confusing experience for individuals and the people who love them. You may want to offer elderly care for your relative but don’t have the resources, finances or a handicap-accessible home. You might question whether you are emotionally or physically strong enough to care for an aging relative. Perhaps you feel guilty that you are not sacrificing more for your parents or grandparents after they did so much for you. Maybe you are aware that your aging loved one needs a location with full-time senior care, but you aren’t sure what you should be looking for in a facility and staff. Do you wish you could find someone who could offer practical and effective resources, guidance and support as you struggle to adapt to the physical, mental, emotional and relationship challenges of the aging process? Whether you or your loved one are living alone or residing in an elderly care facility, there are a variety of physical, mental and emotional challenges that come with advancing age. 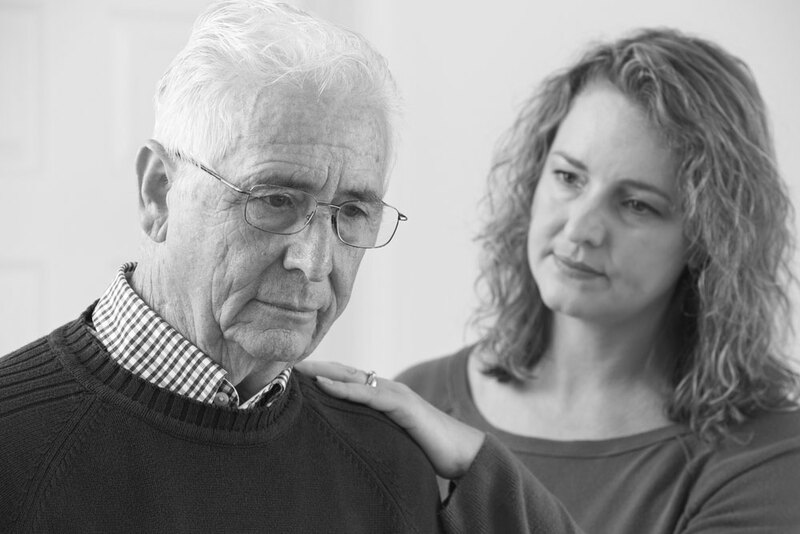 Like any adult, elderly men and women can suffer injury, illness, stress and depression. Many try to hide their discomfort or symptoms, feeling embarrassed, ashamed or weak for not being able to take better care of themselves. Others find themselves in senior care facilities after a spouse or child passes while still struggling with the sense of grief and loss. Physical and mental health issues are a natural part of the aging process, and many struggle to cope with emotional challenges, such as depression or grief and have difficulty adapting to new physical limitations. In addition to my work as a certified telemental health provider, I am a Registered Nurse (RN) and have worked extensively with chronic issues and elderly clients. I am aware of the physical and medical issues that seniors may face and can provide nursing care guidance as well as mental and emotional guidance and support. As you grow older, you may need support as you explore difficult or changing thoughts, feelings and questions about your sense of purpose in life. Whether you are facing new struggles or feeling emotionally and physically strong, your family may be concerned about your welfare. With elderly counseling at TelePsyOnline in California, you can receive accessible psychological and nursing care from the comfort of your own home or elder care facility. Online counseling for the elderly can help you and your loved ones navigate confusing or uncomfortable changes, emotions and concerns that develop during the aging process. TelePsyOnline gives you and your family a lighthouse beacon where you can go to find answers to your questions. I offer guidance and support to help you recognize why you are struggling and what you can do to take care of your mental, physical and spiritual wellbeing. As with all online therapy work, our sessions are non-judgmental and confidential, whether I am meeting with you or helping your family work through their own questions and concerns. I work closely with extended care facilities to make important psychology services more accessible to the elderly. With online therapy, you can meet with your therapist from the comfort of your facility instead of traveling to a counseling office. By maintaining direct contact with any nurses who may be assisting you, we can adapt to your schedule and any medical issues or changes to provide the personalized support you need. In addition to helping you recognize why you are unhappy or in pain, I can work with your family, doctor and/or the staff of the elder care facility to develop treatment plans that meet all of your needs. I will perform assessments to help identify and diagnose issues, such as anxiety, grief, post-traumatic stress and depression in the elderly. The treatment plans we develop together are a living, breathing organism that will adapt and change as our work progresses. As you meet goals and find relief from distressing symptoms, we can shift our focus to help you grow and develop in other areas. There are many different avenues to consider and keep up with, including disabilities, unanticipated medical problems and issues with your spouse or children. I will track your mental, physical and emotional wellbeing to provide more dynamic and tailored senior care and counseling. In some cases, seniors do not receive the physical or emotional care they need from their family, caretaker or elder care facility. While I respect and protect your privacy, I am required to report instances of elderly abuse, neglect or maltreatment. My job is to support you and look out for your overall well-being. I have provided elderly care and counseling for more than 20 years. I understand the issues that come up during the aging process, and I integrate our experience in medical care and mental health to provide practical and accessible counseling and nursing services. I strive to make therapy affordable and accept Medicare. With the right resources and support, you and your family can learn how to accept the changes you are experiencing, find relief and thrive in this new chapter of your life. Many individuals worry about how sharing their secrets or emotions during therapy will impact their loved ones. In addition, when you or a loved one reaches an age where you need occasional or full-time senior care, it is natural to feel overwhelmed by worry and conflicting opinions on how to best help. I will help support you as you determine with whom you wish to share information and why. You can learn how to communicate your thoughts, emotions and needs to your family more clearly and confidently, reducing the likelihood of hurt feelings, arguments and conflict. How can you understand the particular difficulties that come with age? I have provided medical and mental care in California for over 35 years. In that time, I have worked extensively with the elderly, providing senior care and counseling for a variety of issues, including chronic pain and illness, grief and loss, communication challenges and depression. I am aware of the developmental stages of aging and the typical pattern of decline that individuals experience. I will help you understand why you or your loved one are struggling and what you can do to find relief. What if the person who needs counseling doesn’t have access to a computer? Computers and online therapy can be intimidating, but you or your family member may not be able to go into a therapist’s office for regular sessions. With the TelePsyOnline website, elderly therapy is only three simple clicks away. If you are concerned about your loved one’s ability to access or use the necessary technology, you can bring a laptop, show them how to use it and even bookmark the Patient Portal. Additionally, I provide real-time technical support and, with your permission, can even use remote access to identify and troubleshoot technical issues. Online therapy has never been so easy! If you are ready to feel cared for and secure, or if you still have questions about online therapy, I invite you to schedule a FREE 15-minute complimentary phone consultation.